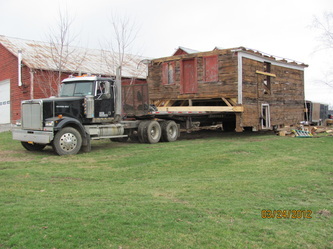 One of the biggest changes to be seen at the museum this year (2012) is the presence of a large two-story building known as the Goshen General Store. Its history and travels are remarkable. 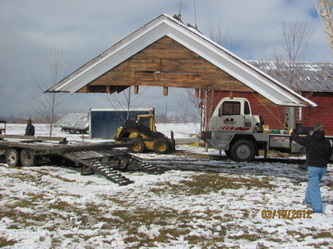 This building is far from ready for visitors, but its restoration will be a primary focus of the museum in the next few years. 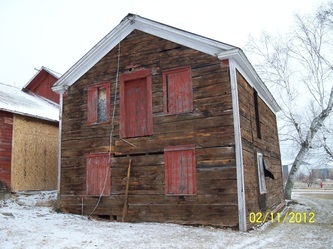 In the fall of 2011, Seth Forrence approached Leeward Babbie about saving this building, which was located on his property. 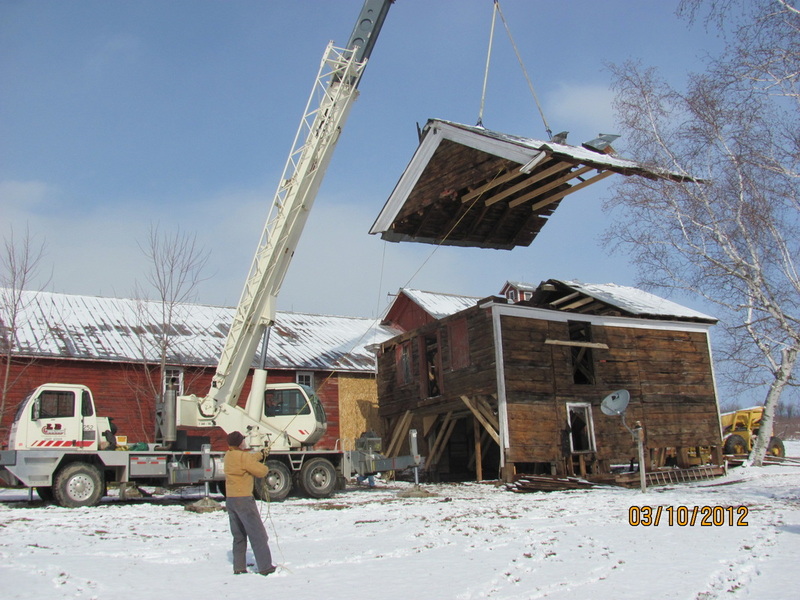 Museum personnel were impressed with the presence of large hand hewn beams, two-story construction with very wide and thick planking. According to research conducted, it is known that this building originally served as the general store in the small settlement of Goshen. 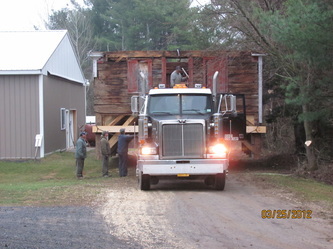 The building itself is thought to be over 200 years old. 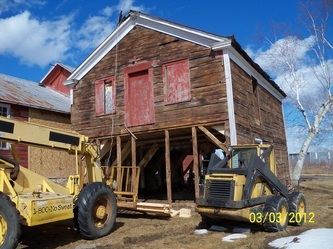 Although the museum was not in a great position financially to undertake the task of saving this building, we felt demolishing such a unique building with such a long history was simply not an option. As the restoration and eventual use of the building as part of our educational displays was in keeping with the overall mission of the museum, it was decided to go forward with a project to save this building. 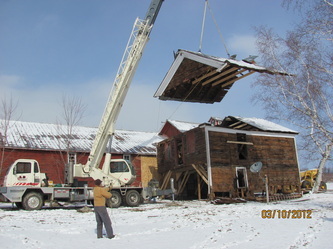 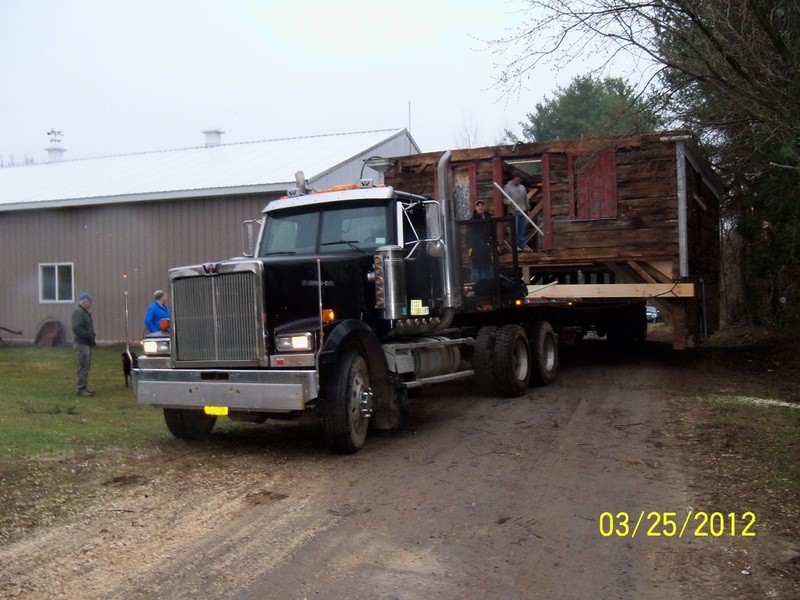 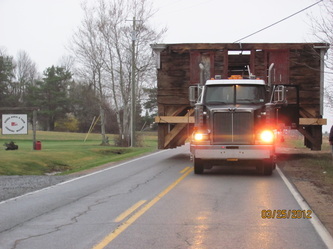 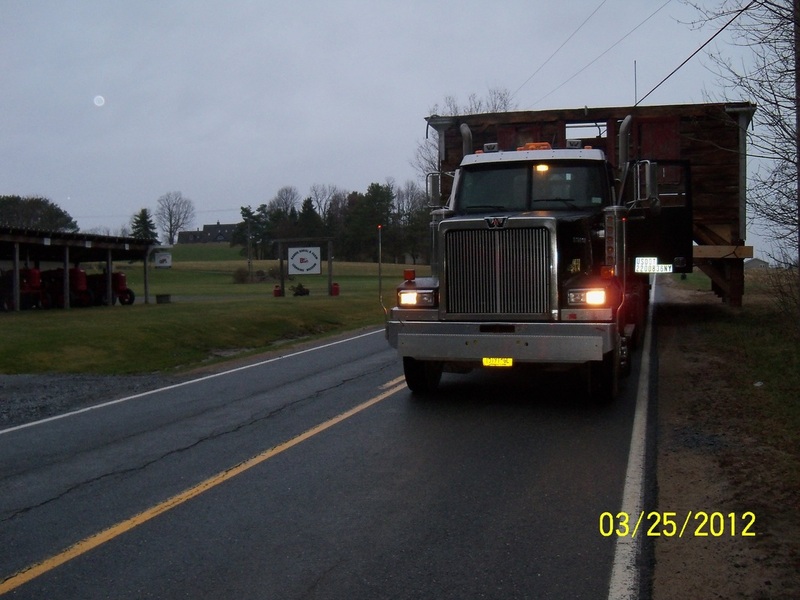 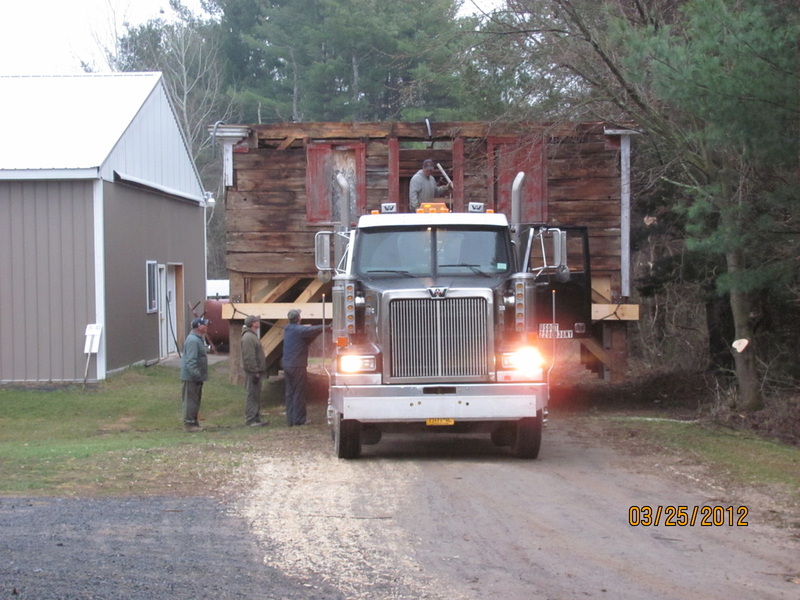 In the spring of 2012, following many hours of preparation, the building was separated top from bottom using a crane and then transported on tractor-trailer to its current home at the museum. Our hope is to restore the building to what it would have looked like as a general store in the 1800's. 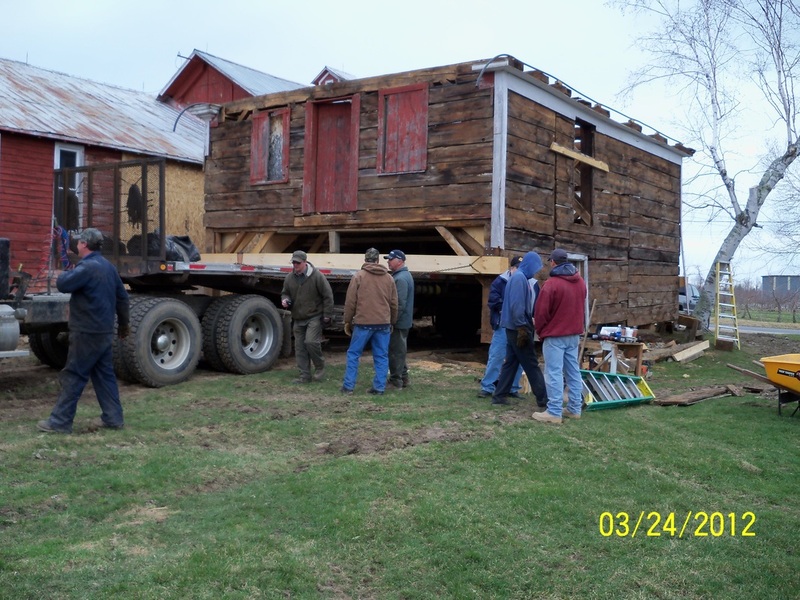 When restored, we will show many of the items that could have been bought in a general store over the last two centuries. Anyone wishing to help sponsor the restoration of this remarkable building, "The Goshen General Store" can mail a donation to The Babbie Rural & Farm Learning Museum, 250 River Road, Peru, NY 12972 and specify that it be for the Goshen Store. We greatly appreciate any sponsors who would like to help in this amazing restoration. 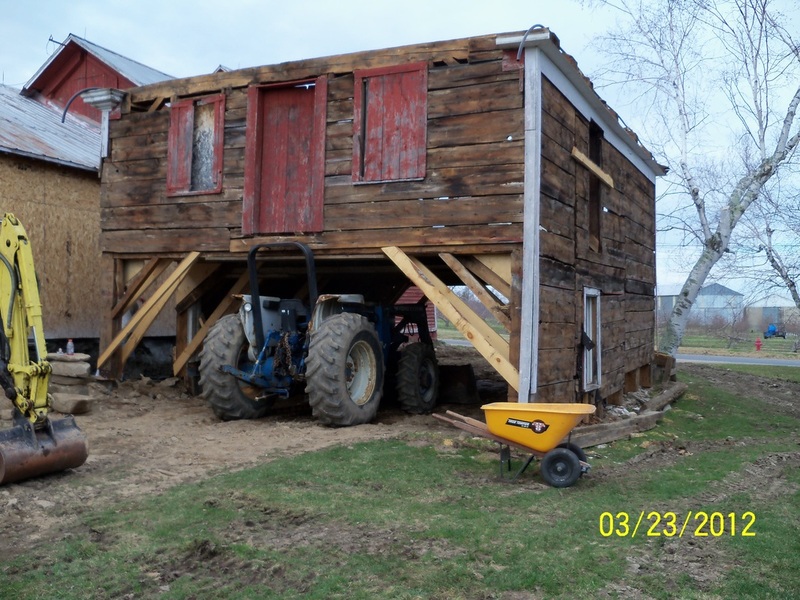 Let's keep the past alive for generations to come.